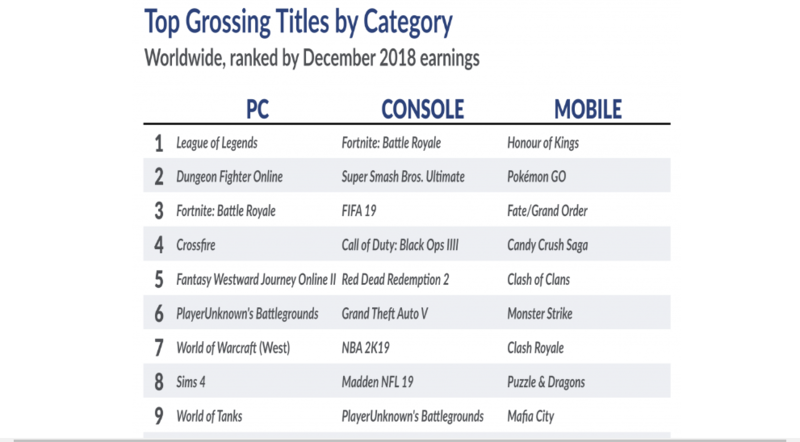 Superdata has just released a brand new statement which shows the Top ten best-selling PC, Console and Mobile games for December 2018. The Sims 4 still stays in the charts by taking the eighth position coming in after many other popular games like Fornite and World of Warcraft. This is very good though since the competition for sales is always high for many gaming companies during the Holiday season. We safely assume the sales are down to the fact that two Expansion Packs were released in 2018 which boosted the sales for The Sims 4 during the Holiday Seasons. Let’s hope The Sims 4 is in the Top ten best-selling PC games for January 2019 since the game is doing very good for its self this past year. Previous ArticleThe Sims 4 Console: A Big Update To Hit Xbox One & PlayStation 4 Very Soon!Next ArticleThe Sims 4 Console: The Next Update Is Set To Release Tomorrow (31st January 2019)!